Every time I come to Santa Fe I make it a point to see Kerstyn for a facial. I have never had better! I always leave her feeling refreshed and rejuvenated -not to mention looking younger! I have seen facialist all over Beverly Hills and New York and none make me feel as good as Kerstyn does. Seeing her is a real treat! I’ve had hundreds of facials in my life, but Kerstyn’s are above all the rest. On any given day, she will determine what your skin needs and adjust to suit it. Personally, she couldn’t be more soothing and sincere. I continue to recruit my friends as new clients for her – she’s Santa Fe’s best! I’ve been going to Kerstyn for facials and massage since moving to Santa Fe 7 years ago. She is the best practitioner I’ve found. Highly skilled and knowledgeable about all aspects of self-care. Her warmth and sensitivity make every visit a special treat. I appreciate the way she “restores” my eyebrows with subtle shaping and coloring. My body loves her deep tissue massage with hot stones. With each facial my wrinkles magically disappear, making me feel and look years younger. What could be better? It is a refreshing experience to have Kerstyn give you a facial. She uses highly quality products (which she has researched) and does not “oversell” them. After visiting many larger salons in Santa Fe, I have chosen Kerstyn’s shop as my place for facials. I had the Classic Yon-Ka facial and my skin looks amazing, and only after one treatment! I was very happy with the quality and time that Kerstyn spent with me and the recommendations she had for continuing to get my skin looking its best! A friend told me about Sanctuary Santa Fe and now I’ll be recommending Kerstyn to all my friends too! I’m a very committed workout person and weight-lifter, though at 55 get myself into trouble with that sometimes. I’ve never had a massage therapist (or physical therapist for that matter) who comes remotely close to being as reliably able to help me as Kerstyn. She’s extremely knowledgable bio-mechanically, has an incomprehensibly accurate ‘feel’ for what’s going on and what needs doing, and can be as powerful as a Viking when she needs to be. Somewhat a connoisseur of the massage experience (years of kneading by top practitioners around the world), I can honestly say that Kerstyn’s work is simply the best I’ve ever known. I hear a hearty second coming from my husband’s direction. Her deep tissue massage inspires real cellular regeneration. Your massages to my chronically painful body have always been so soothing and your ability to release the trigger points and tight muscles is amazing. On occasion I am lucky to receive your skilled treatment to my face after which I leave your shop with a lovely, youthful glow. Kerstyn is a passionate body worker, healer and beautician, who is educated about her techniques and products. Being generally picky, I fully trust her skilled hands. She has relieved my neck and back pain (massage) and has brought glow to my face (facial & microdermabrasion). She has the magic touch and for the time of the session you are the center of a new universe… a marvelous treat! Kerstyn has been my massage therapist for over six years. She really has a knack for tuning in to the parts of my body that need attention, plus her knowledge and use of aromatherapy and hot stones enhance her massage. Her strength and skill enable her to provide deep pressure where needed. I have also had facials and eyebrow shaping from her and she is a master of both. 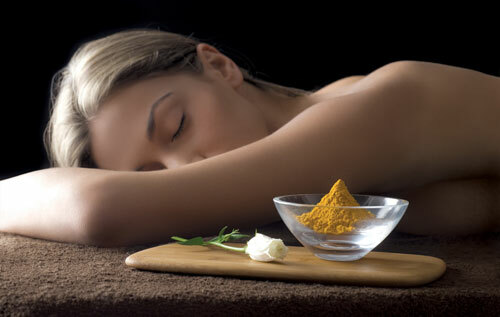 For many years I have enjoyed my Facials and Massages at Sanctuary Santa Fe. Kerstyn’s healing touch and her wonderful clean products, which are great for my skin, have made every session a heavenly and delightful treat. I will be back for more!